When purchasing a vehicle, you should not only pay attention to the features and style that you want now, but also focus on choosing a vehicle that has a good residual value. After all, these vehicles will tend to be more reliable and will cost you less over time, as you won’t need to replace them as often as other vehicles. 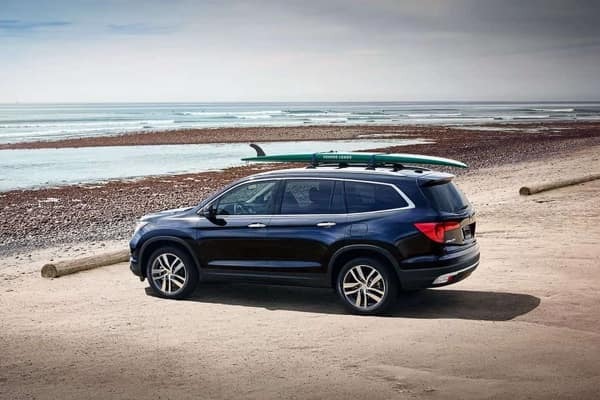 If you’re looking at Honda models, you’ll be happy to know that overall, these vehicles have a great residual value, making them the right choice for your vehicle driving—and your budget’s—needs. While most vehicles have a depreciation rate of 60%, Honda models have a depreciation rate of only 35%, which is almost half of what other models on the road today have. If that’s not saying something about the Honda dependability, we don’t know what will. The Honda Accord is a great vehicle to get you around Monticello. After all, this model has a great residual value and brings affordability, safety, and reliability to the forefront. For those with this model in tow, you’ll appreciate a strong fuel efficiency, impressive power, incredible interior features and finishes, and the latest technology you could want in a new model. When you couple this all with a great price point and knowing you won’t have to replace this model any time soon, it’s an investment you can certainly get behind. When having a reliable SUV model is important, then the Honda CR-V is a great choice. This vehicle lets you cruise through Monroe with a model that brings fuel efficiency to the forefront, along with a nice starting price point. In addition, you’ll find high-quality finishes inside that include things like leather seating, driver seat memory, and so much more. Plus, you’ll know that you can keep this model on hand for a long period of time while it keeps its value. Honda models keep their residual value more than other makes and manufacturers, making them a good choice for all types of drivers. From compact models to SUVs, be sure to check out the Honda inventory at Middletown Honda, located at 520 Route 211 E in Middletown, NY. If you’re ready to change the way you drive through Goshen, contact us today at 845-343-0055 for more vehicle specials. 0 comment(s) so far on What is the Honda Residual Value?